If you've shopped online, chances are you've used a credit card to pay for your merchandise. But did you know you may have another option? Bill Me Later is a revolving line of credit that allows qualified consumers to purchase items from various online retailers. According to the New York Times, Bill Me Later is aimed at high-income, credit-worthy individuals. The credit line works similar to a credit card. It permits you to buy an item now but pay for it later. Bill Me Later is a credit account and therefore, balance information from that account may appear on your credit report. 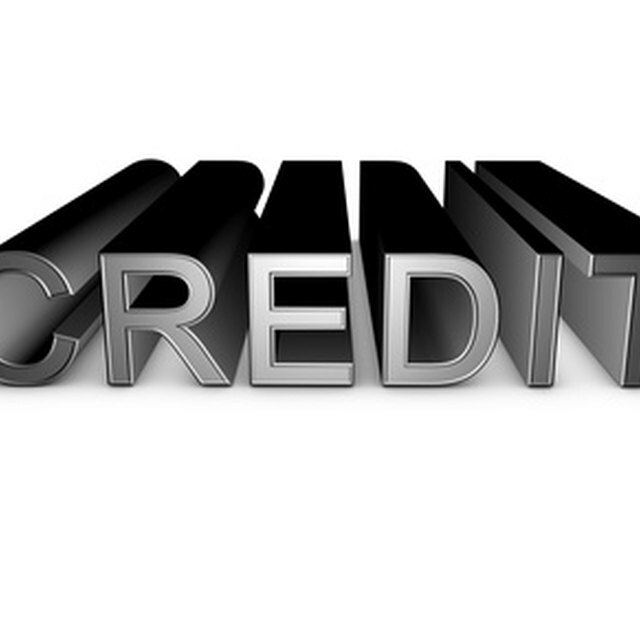 Not all creditors report consumer credit information to a credit bureau. According to the Wall Street Journal, however, Bill Me Later does. The company checks your credit when you apply for the account. If you're approved, Bill Me Later will report your account information to the credit bureaus. The account will then appear on your credit report and include your credit limit. If you carry a balance on the account, this balance information will also appear on your credit report. The balance that appears on your credit report will change as the balance on your account changes. Creditors generally update information with the credit bureaus every 30 days. If your balance changes between updates, such as paying the account down to zero, your credit report will not immediately reflect this new balance. The previous month's balance will continue to show until Bill Me Later updates its records with the credit bureau. Once the account data is updated, your report will show not only the new balance, but also any other new changes that may have occurred on your account, such as an increase in the credit limit. A Bill Me Later account not only shows your balance, but the payment history associated with that account as well. Since it's a credit account, Bill Me Later requires you to repay the balance owed on the account. You can choose to pay off the balance all at once or, if you prefer, make monthly payments toward the balance. If you make a payment that's more than 30 days past your due date, that late payment will appear on your credit report. The Bill Me Later balance on your credit report can change from month to month. However, if you believe the information reported on your account is inaccurate, you have the right to dispute it with the credit bureau. You can do so online at the bureau's website, by phone or mail. The bureau has up to 30 days from the date of your dispute to investigate and make corrections. You can order a free copy of your credit report once a year at AnnualCreditReport.com. Other sites offer free credit reports, but AnnualCreditReport.com was established under the Fair Credit Reporting Act, a federal law and is the only federally created site where consumers can exercise their right to a free credit report. It is also the only "free credit report" site recommended to consumers by the Federal Trade Commission.